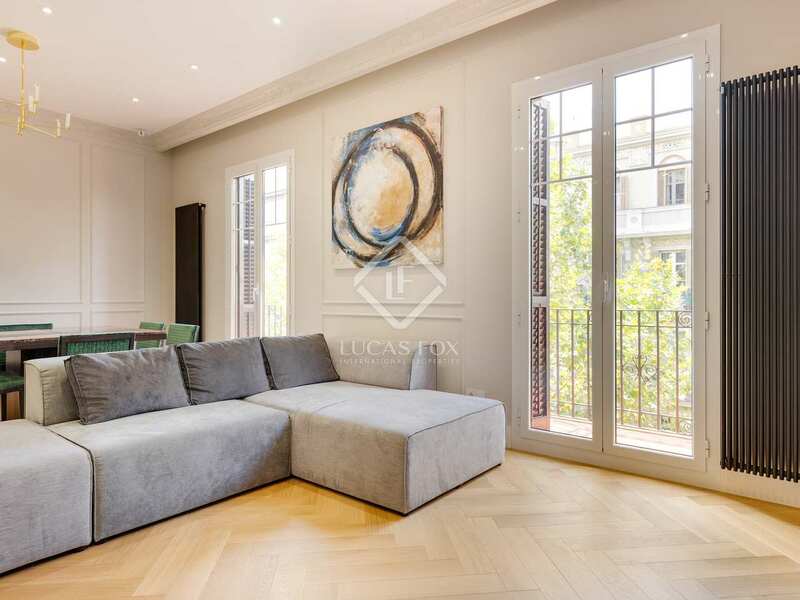 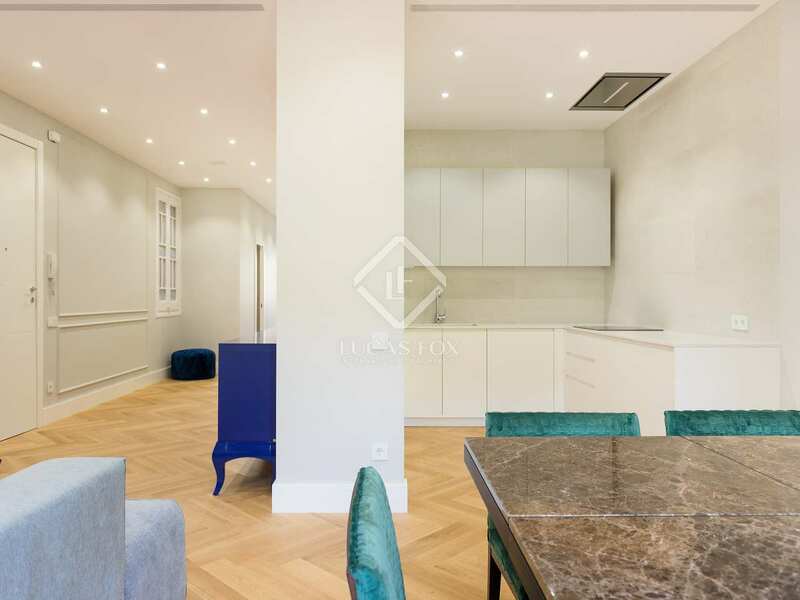 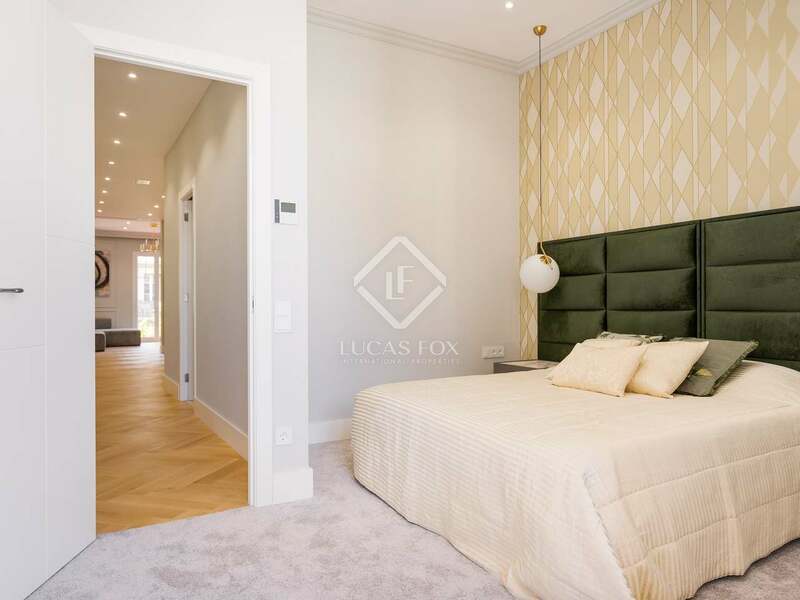 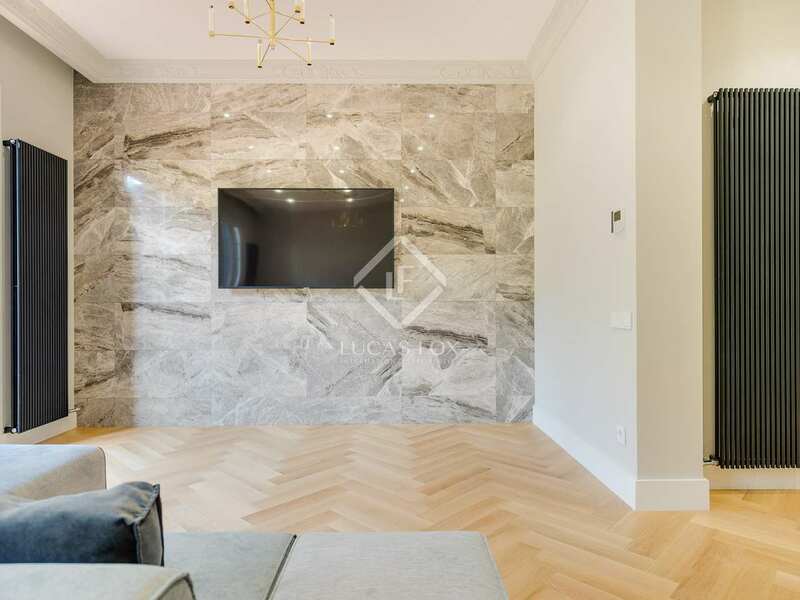 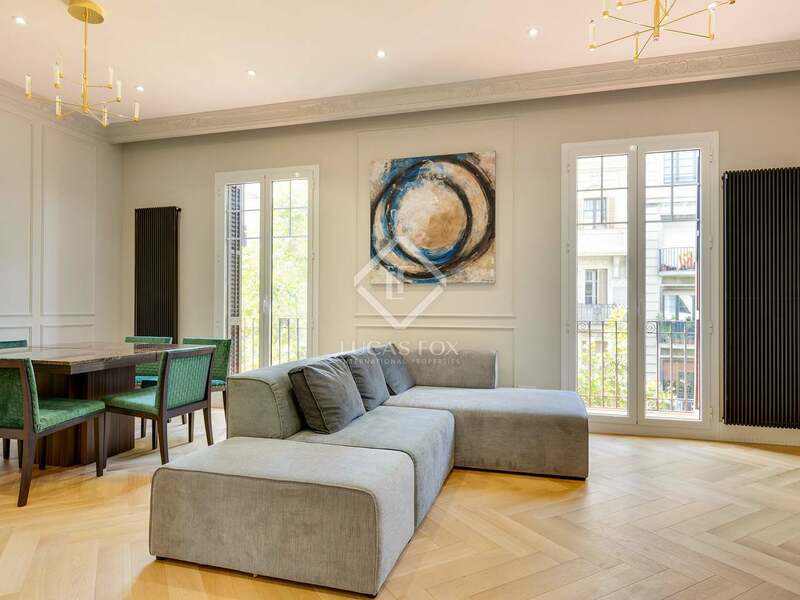 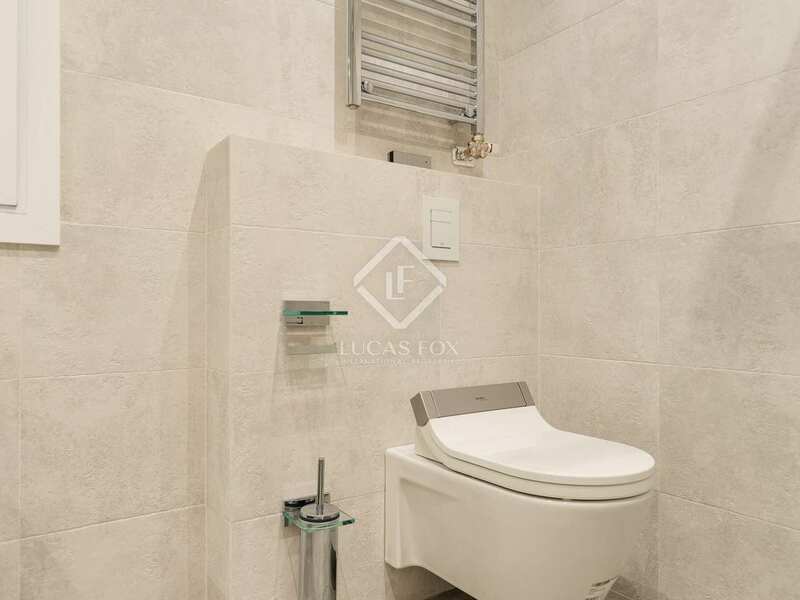 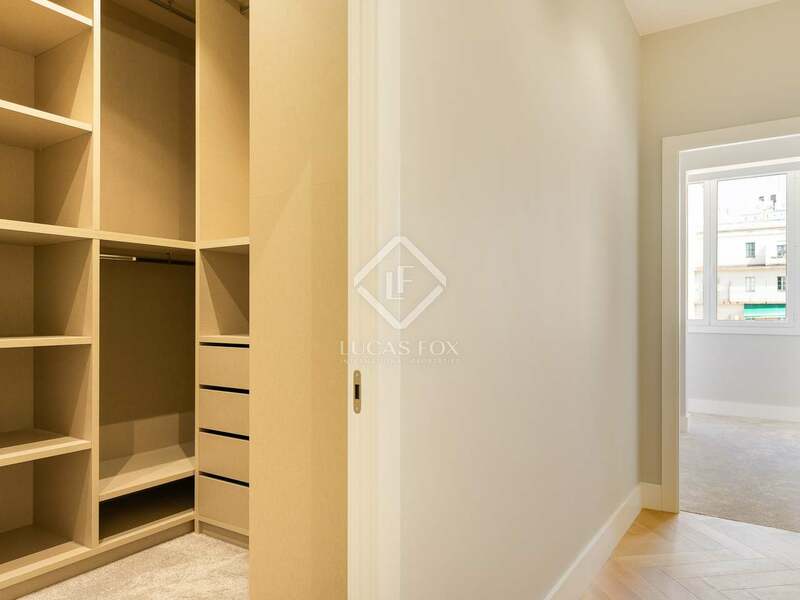 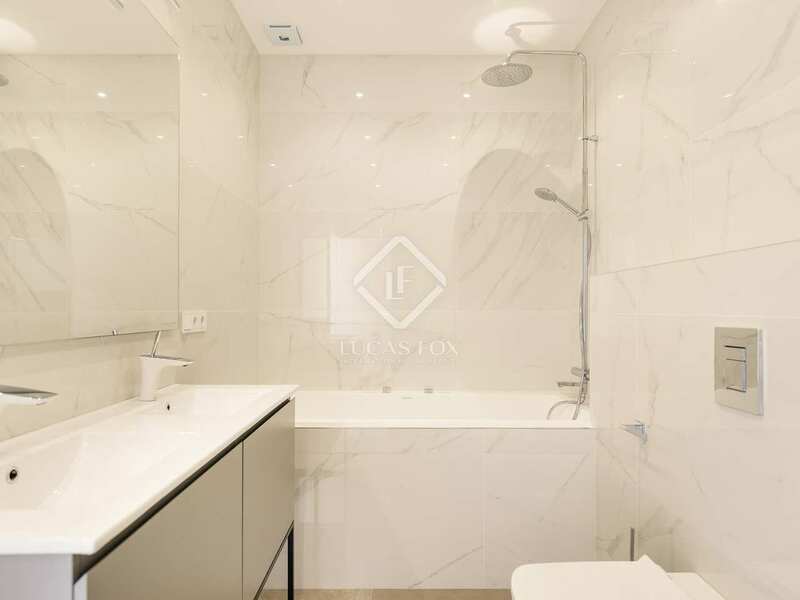 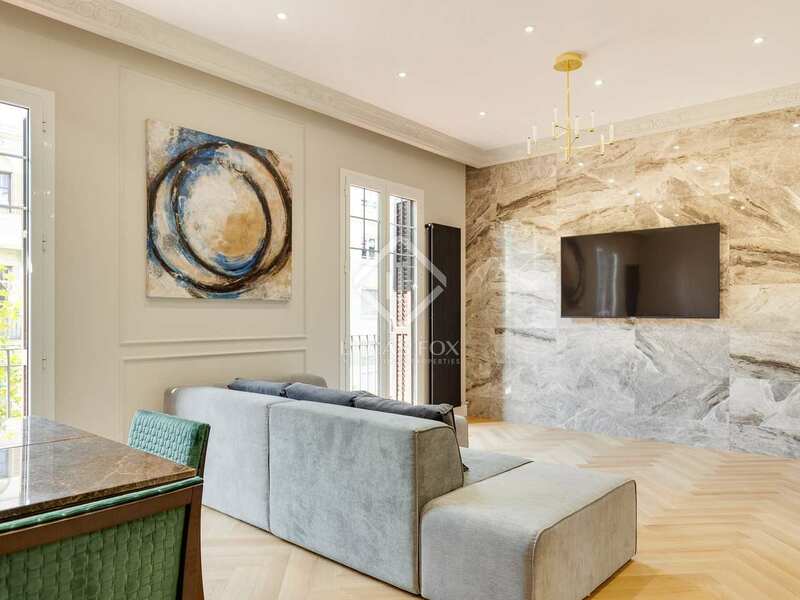 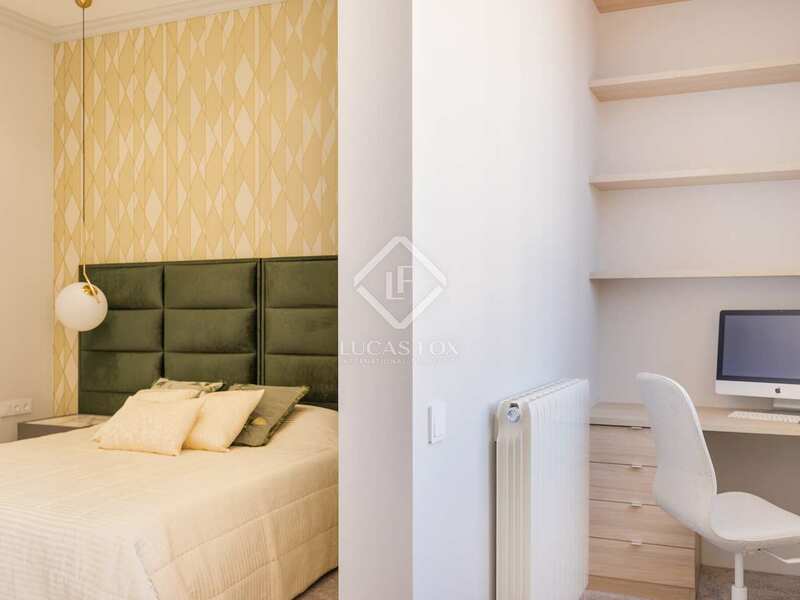 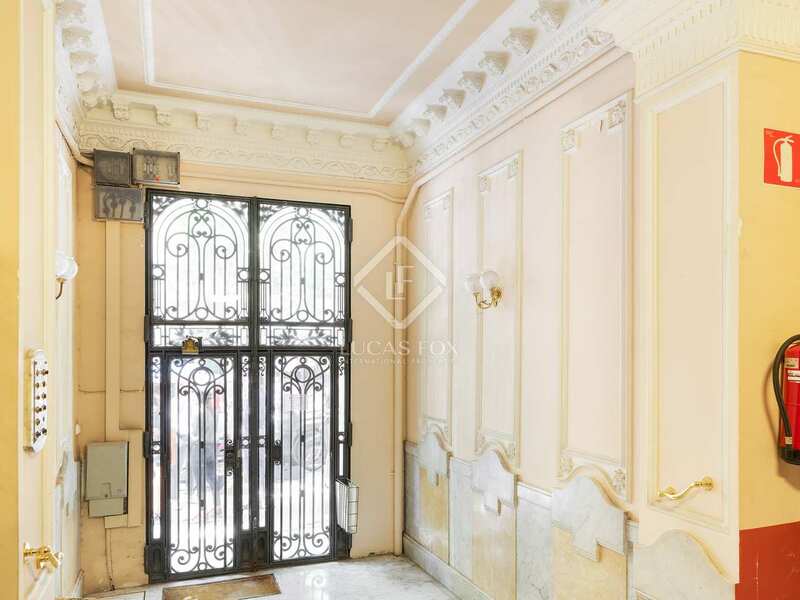 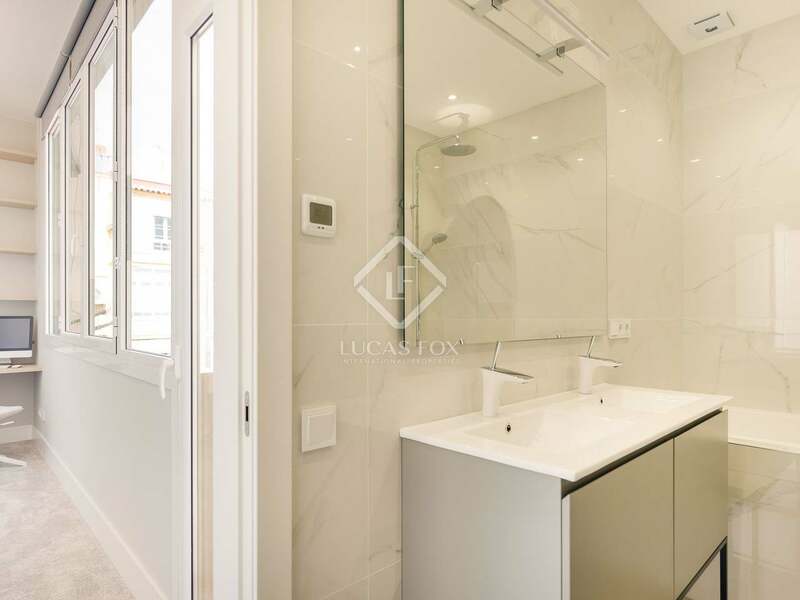 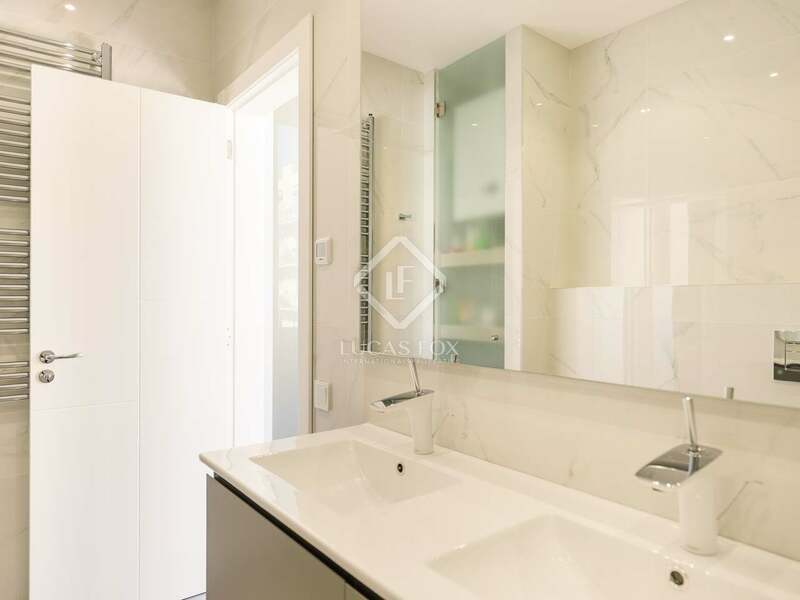 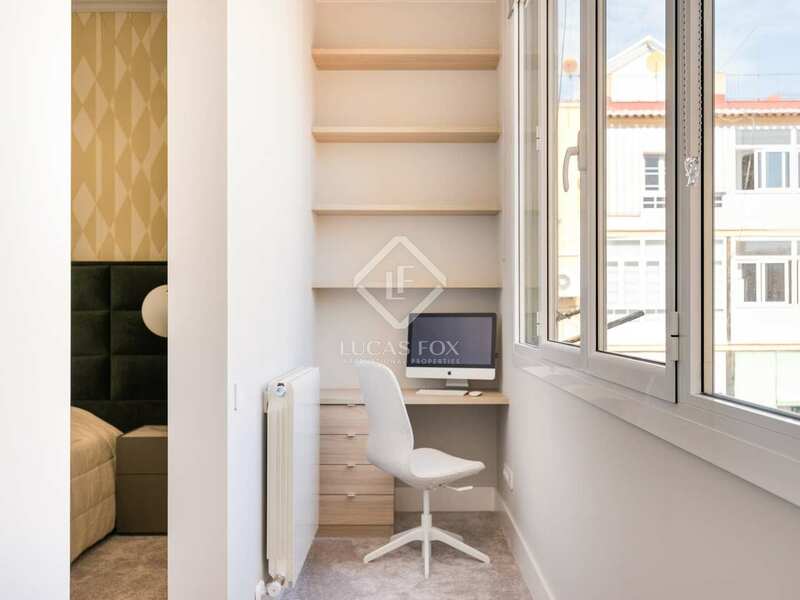 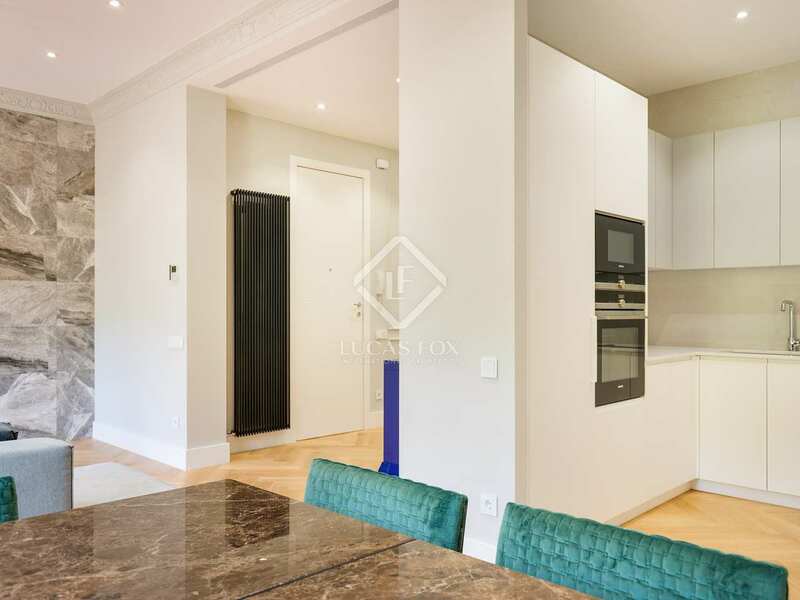 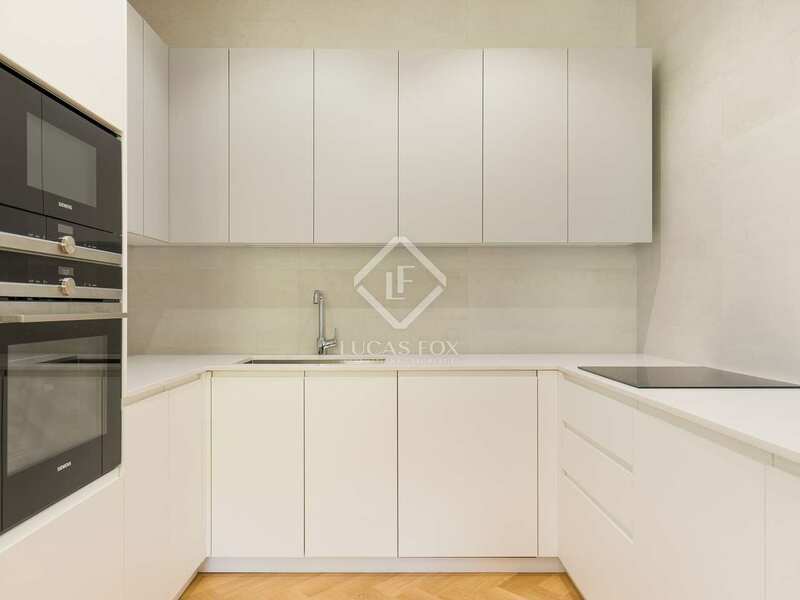 Brand new 3-bedroom property located in a renovated stately building with an excellent modern design, for sale near Diagonal and Passeig de Sant Joan. 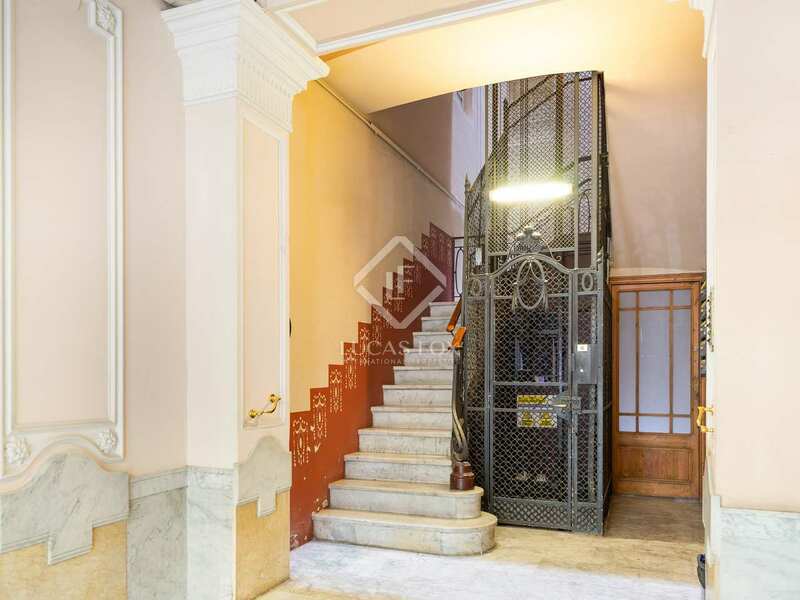 This magnificent renovated apartment with the best quality finishes is located in a refurbished stately building with a beautiful lobby with a lift. 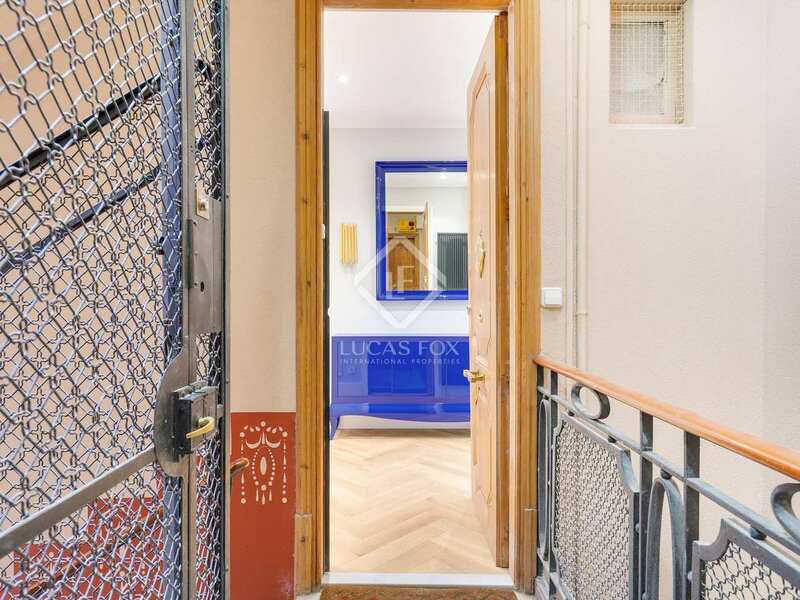 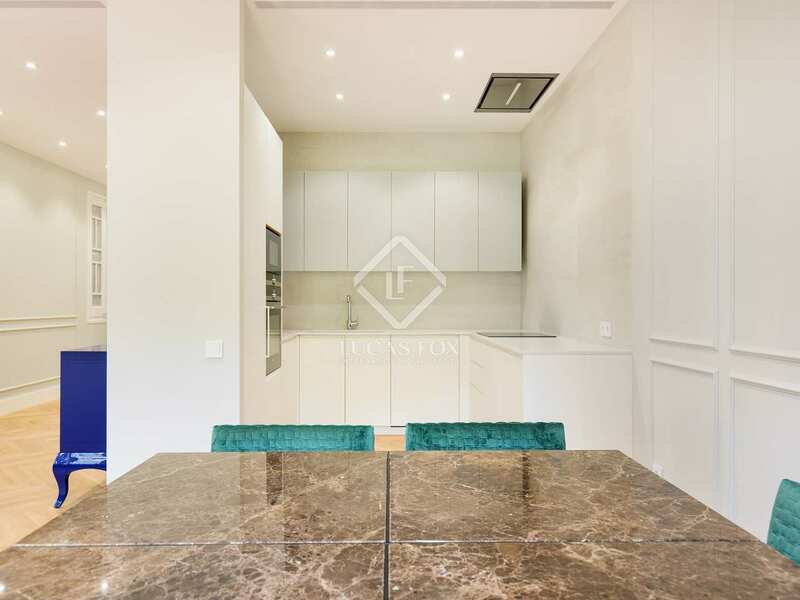 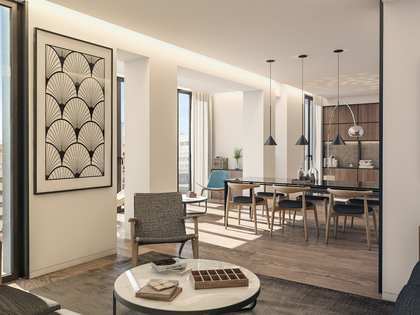 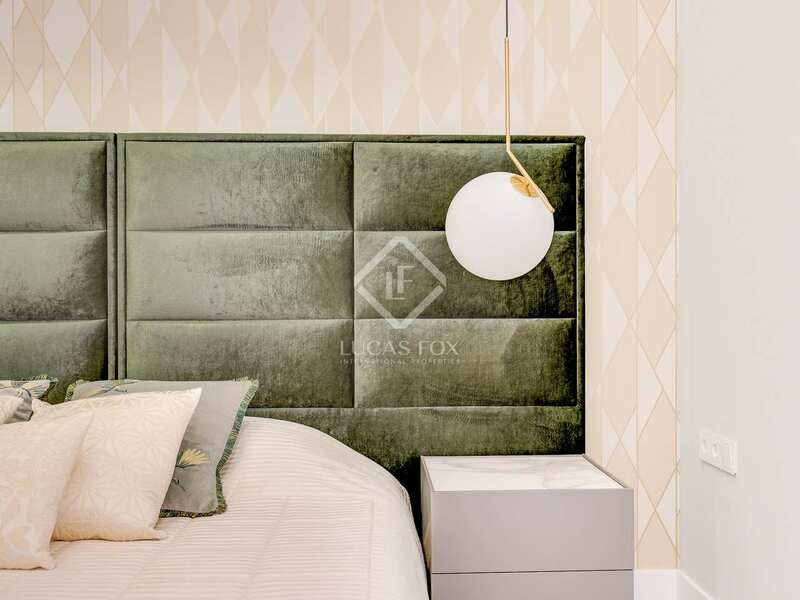 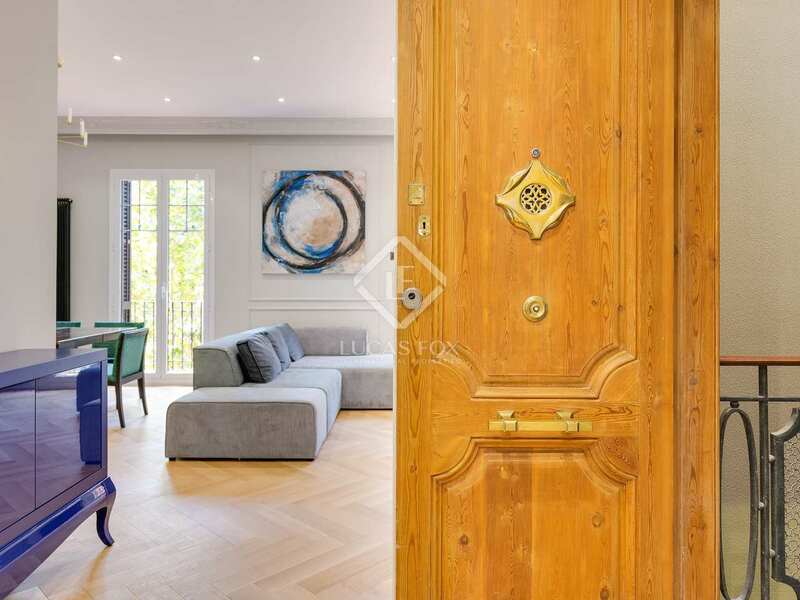 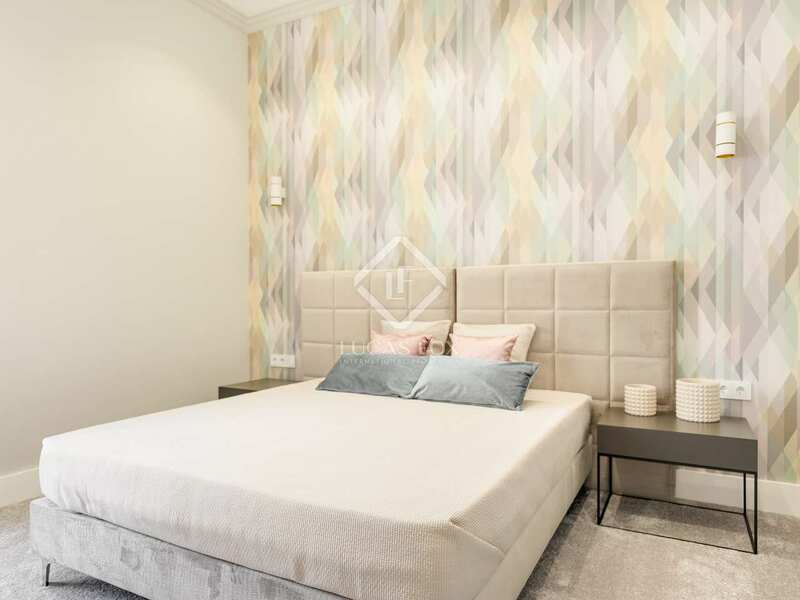 It is in an unbeatable location that is very central, in the coveted Eixample Right of Barcelona, ​​very close to Diagonal and Passeig Sant Joan. 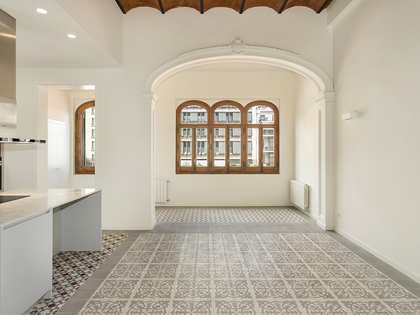 The property is ready to move into. 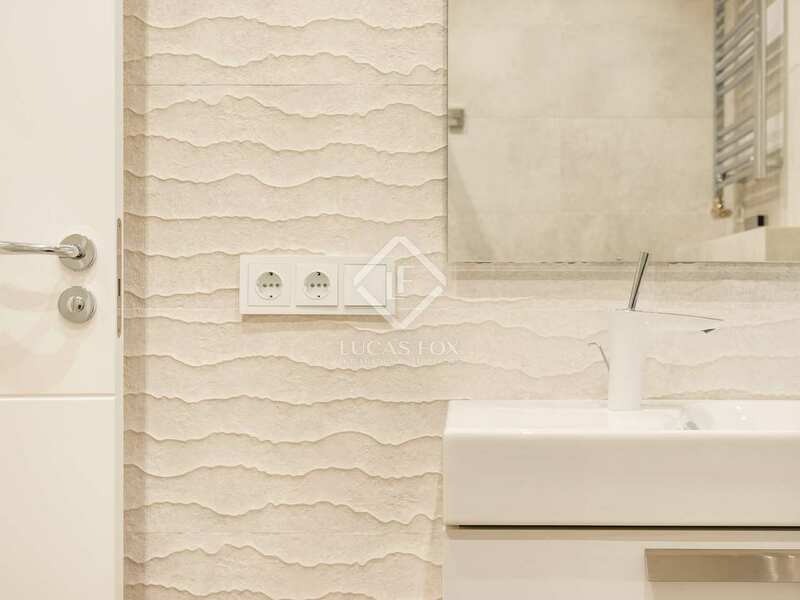 It is presented furnished and brand new thanks to the excellent renovation, which has been carried out with finishes of the best quality and with a modern design. 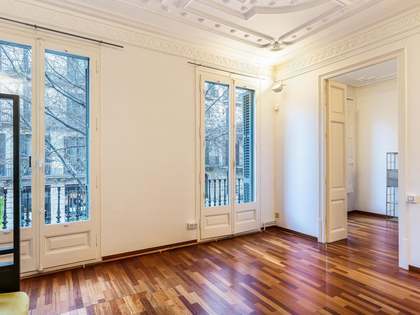 It also has attractive modernista features, such as the high ceilings and the windows, which give it a special character and plenty of light. 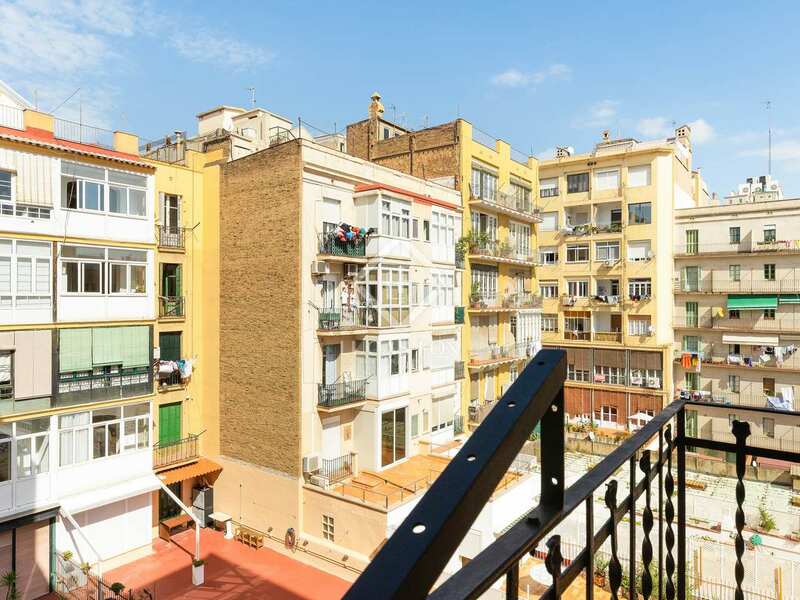 The apartment consists of a spacious and bright living room with access to 2 balconies overlooking the street. 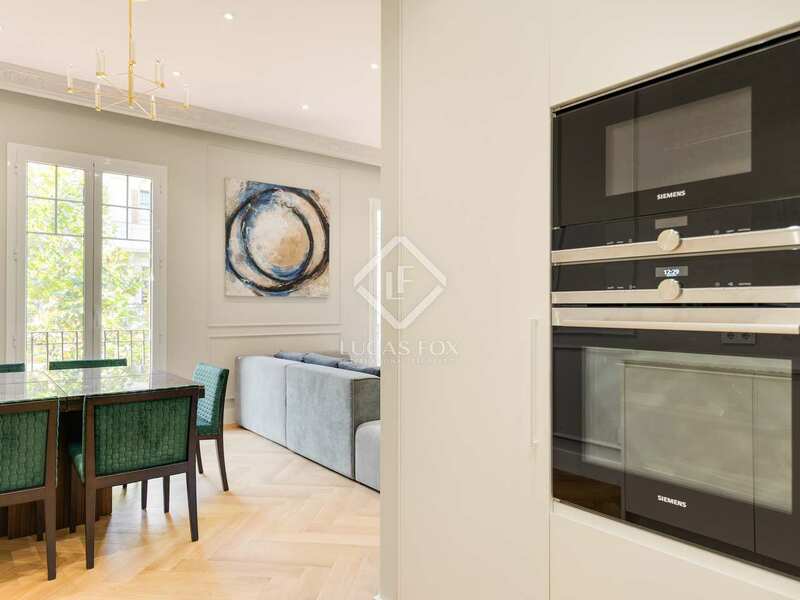 Next is the open kitchen, which is equipped with panelled appliances. 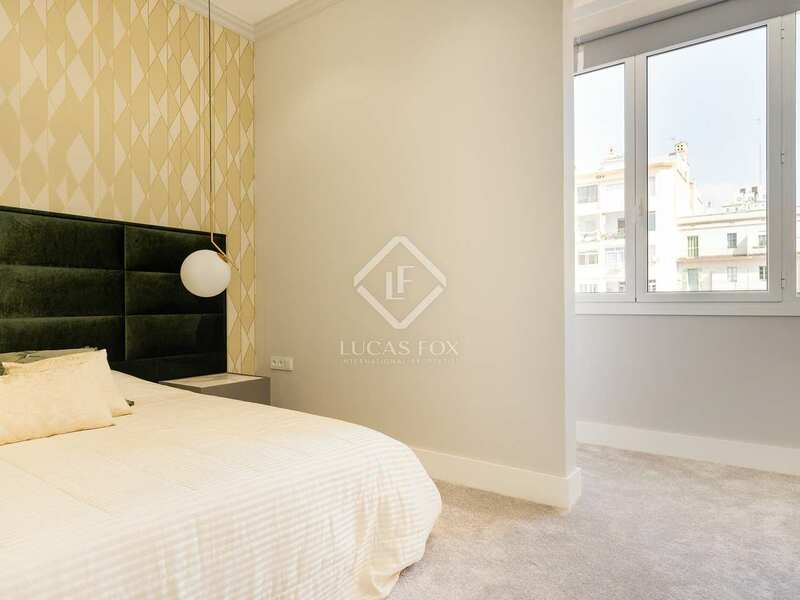 In the night area we find the property's 3 bedrooms: 2 double bedrooms that share a bathroom, and the master bedroom with a dressing room, private bathroom and a small terrace facing the tranquil courtyard. 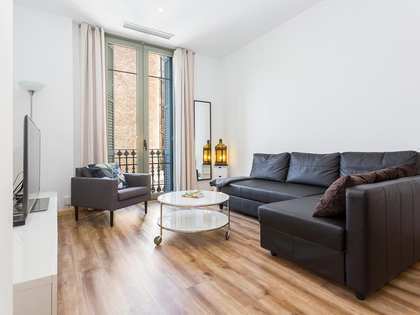 The apartment is equipped to ensure maximum comfort, with radiators, hot / cold air conditioning units and wooden floors. In addition, it is very close to public transport and in a location that will allow you to fully enjoy all that the city has to offer. 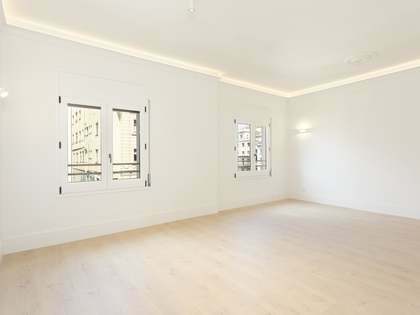 Do not hesitate to contact us to visit this fantastic brand new home in the heart of Barcelona. 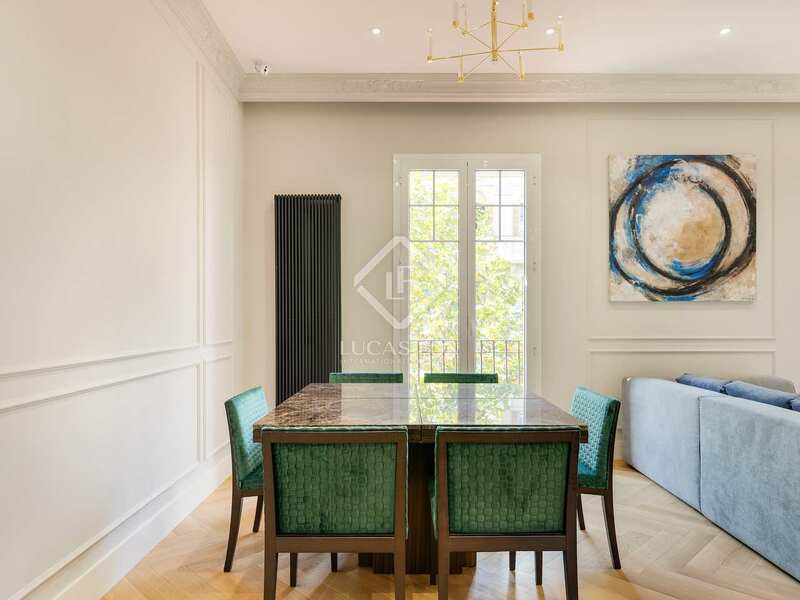 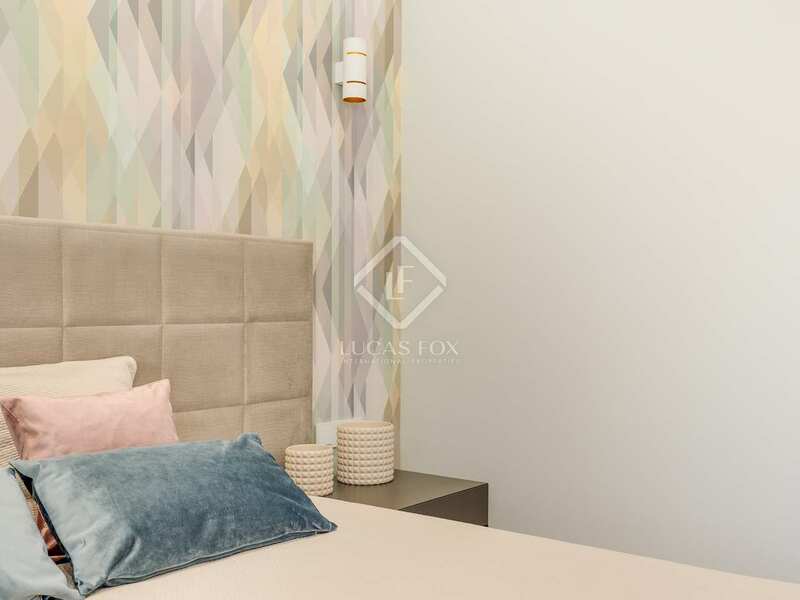 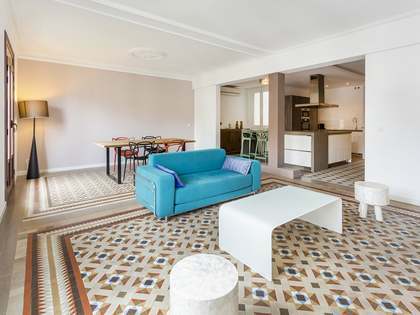 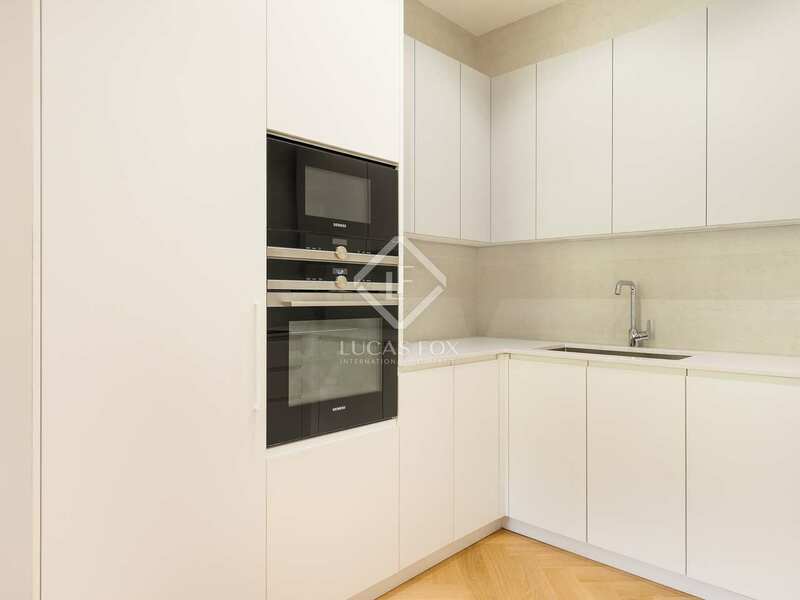 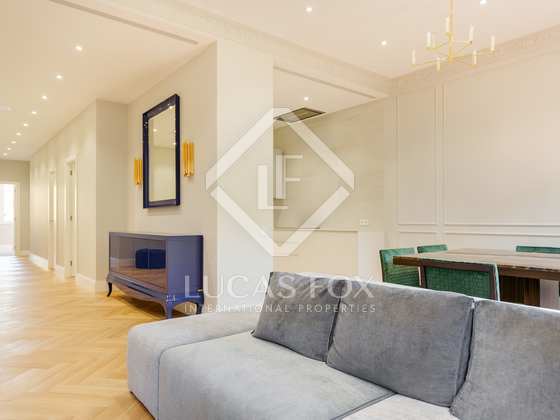 This apartment is in an unbeatable location in the coveted Eixample Right of Barcelona, ​​in a central street near Diagonal and Passeig de Sant Joan, a tree-lined avenue where you can enjoy a walk or have a drink in one of its many bars and restaurants. 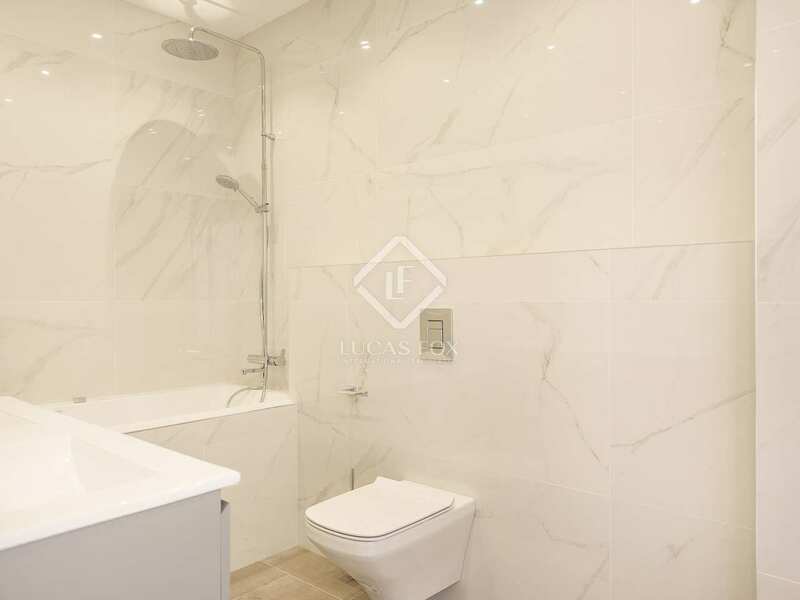 It is also close to public transport.